We continue to have absolutely beautiful summer fly-in seasons in the eastern sierra. Thunderstorms are few and far between, with temperatures cool and relatively few afternoons with southerly crosswinds. 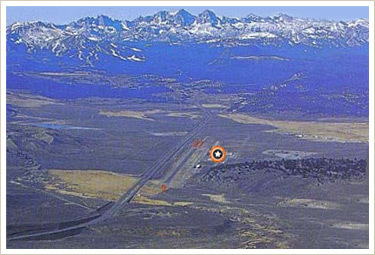 Even so, when flying into MMH, which is at 7,128 feet there are a few things you'll want to have in mind. Number one is density altitude. Remember that on a warm day in Mammoth our D.A. can be as high as 9,900 feet. This figure is particularly critical in computing your weight and balance for departure. Please leave yourself enough margin to safely climb out and have an enjoyable flight. Number two is mixture control. It's also critical to adjust your mixture correctly for maximum power during run-up. Remember mixture full rich works great at sea level but at altitude it needs to be much leaner.